Cross-Examination Handbook: Persuasion, Strategies, and Techniques, 2E clearly explains all the important cross-examination skills and provides concrete strategies for overcoming the obstacles lawyers commonly face in cross and conducting a winning cross-examination. This trial handbook provides step-by-step practical techniques and strategies, including witness control, handling problematic witnesses, and successfully cross-examining experts. Clark/Dekle/Bailey can also be used in clinical and continuing legal education courses. Professor Clark is a nationally known lecturer and author. He is the Principal of Prosecution Services, LLC, which provides continuing legal education and publications. He has lectured at over 40 national courses and for numerous state associations. He has been awarded both the Distinguished Faculty Award and a Lecturer of Merit Award by the National College of District Attorneys as well as the Dean’s Award of Honor. The Washington Association Prosecuting Attorneys awarded him the President’s Award of Merit. Professor Clark has written several books, including co-authoring two books with Seattle University Professors Marilyn Berger and John Mitchell, Pretrial Advocacy and Trial Advocacy, published by Aspen. He also wrote Making and Meeting Objections (Evidence Handbook for Washington Trial Lawyers). He served as the Chief Author for the Criminal Trial Practice and Techniques Chapter of the Washington Practice Manual. Numerous continuing legal education courses put on by the Florida Bar, the National College of District Attorneys (NCDA), the Florida Prosecuting Attorneys' Association (FPAA), and the National Institute of Trial Advocacy. Prosecution and defense in all courts of all types of criminal cases, from criminal traffic to capital murder. Additional experience: Uniform Reciprocal Enforcement of Support Act cases, Baker Act commitments, contraband forfeitures, dependency cases, sexually violent predator commitments, coroner’s inquests, grand jury proceedings, extradition proceedings, and executive assignments. Bill Bailey has combined a career as a criminal and civil trial practitioner with legal scholarship and teaching. Long interested in research on behavioral psychology, communication strategy and brain function, his research and writing have focused on the use of images, words and stories to influence thought and decisions. His innovative communication book, Show the Story: The Power of Visual Advocacy, co-authored with Robert W. Bailey (Trial Guides, 2011) has been widely praised as ''the Bible for using visuals in trial'' and ''a breakthrough into the 21st Century, with exceptional depth on the psychology of learning and remembering.'' He also is co-author of Cross-Examination Handbook with Prof. Ron Clark and Prof. Bob Dekle (Aspen, 2010), top-rated by both law school clinical faculty and practitioners around the United States since its release: ''The best instructional text on cross-examination that I have seen in thirty years of teaching trial skills, clear, concise and unerringly 'dead on...The best book on cross-examination-Ever!''. In addition to his books, Prof Bailey has three case files in print with the National Institute for Trial Advocacy, two of which are co-authored with Prof Emeritus Frederick C. Moss of Southern Methodist University Dedman School of Law. 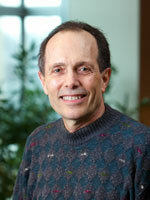 Prior to joining the UW faculty fulltime, Prof Bailey has been an active trial practitioner for many years. He is in The Best Lawyers in America and was named ''Litigator of the Month'' in October, 2002 by the National Law Journal. He was honored as ''Trial Lawyer of the Year'' in 1991 by the Washington Association for Justice and was elected to membership in the American Board of Trial Advocates (ABOTA) in 1993. Bailey has been named one of ''Seattle's Top Lawyers'' by both Seattle Magazine and Seattle Metropolitan Magazine, as well as a ''Superlawyer'' by Washington Law and Politics.